The Emirates Melbourne Cup is on tomorrow, November 4th. While the main race will be in Flemington, Melbourne, many Australians will celebrate nation-wide. It is not a public holiday in Queensland, but it might as well be. For the race, I am making a hat, badly. I know it is not my best work because I have made better hats in the past. I know I left it too late and I don’t have all the right materials. The Cup day is tomorrow and the office will have a party. I am not a big gambler, nor a horse race lover, far from it. I did not know our office wanted to party. But, it makes sense because most people in this country will take up to three days off work to gamble and party for Melbourne Cup. I don’t have any fancy hats. And, I don’t need one. The ladies in my office made a pack to wear hats so I wanted to make one for fun. So far my sons had various pointers and suggestions on how to improve the hat before going off to bed and leaving me with the task. I have found various pieces of craft material at home. 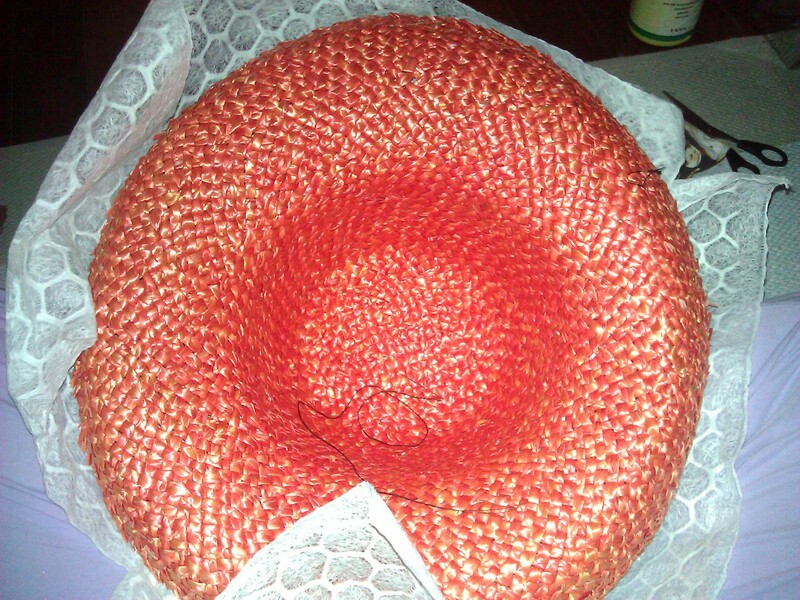 I am about to re-create a 10-year-old straw hat into something…yeah ‘something’ I don’t even know. The good thing about it is that if the ‘hat’ fails, I can dump it in my compost and recycle the bits and pieces. It is all organic. Pictured here, I found some hand-made re-cycled paper I had for a different project, and thought I could use it. I sewed the paper onto the orange hat and the paper was not opaque enough so I needed to paint the hat white. I was on a mission. The can of white paint was in my art workshop and without thinking or smelling the paint, I took a brush and painted the hat . Once finished, I could not wash the brush nor my hands, and I realised I had used the oil-based house paint. Worst of all my son told me, we did not have any mineral turpentine left to clean off the oil paint. Sounds great doesn’t it? With his help, I used a combination of Antiseptic Dettol and nail polish remover to rid the paint on my finger tips so I could type this blog post. Don’t try to use that Dettol combination to clean your hands, it is not nice. I guess I won’t be needing that nail polish tomorrow either; I have white-painted nails. 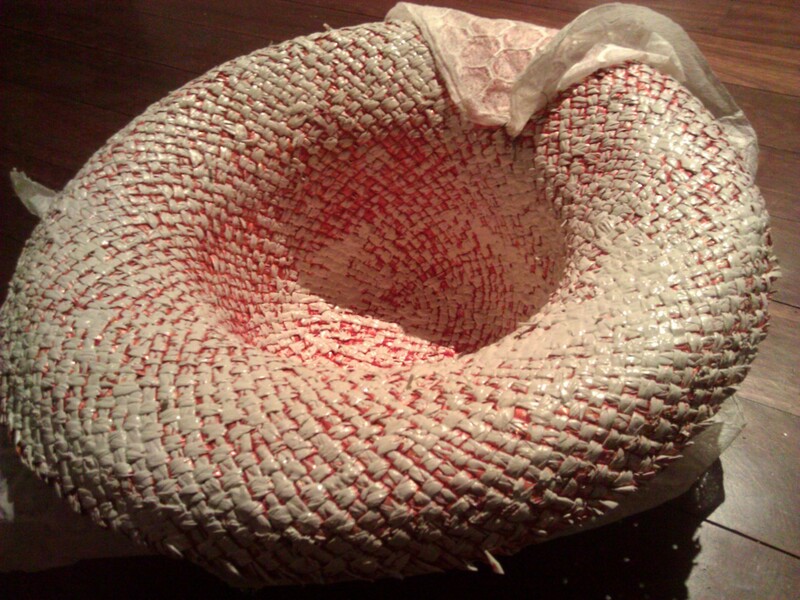 To make the slow-drying oil paint dry faster, I have been blow drying the hat for two hours. I am hopeful; I will wear that hat tomorrow. Thank you universe for challenging my creativity but the hat will happen, regardless. I hope I have made you readers smile tonight with this silly story and my pathetic hat-making effort. 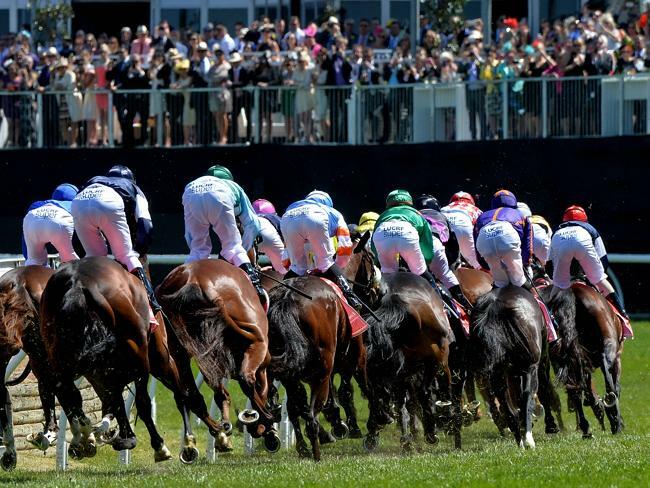 If you are following The Melbourne Cup tomorrow – have fun and win. My friend won a few thousand dollars on a $3 bet, so I know it can be a day for anyone. I am just going to finish my hat. 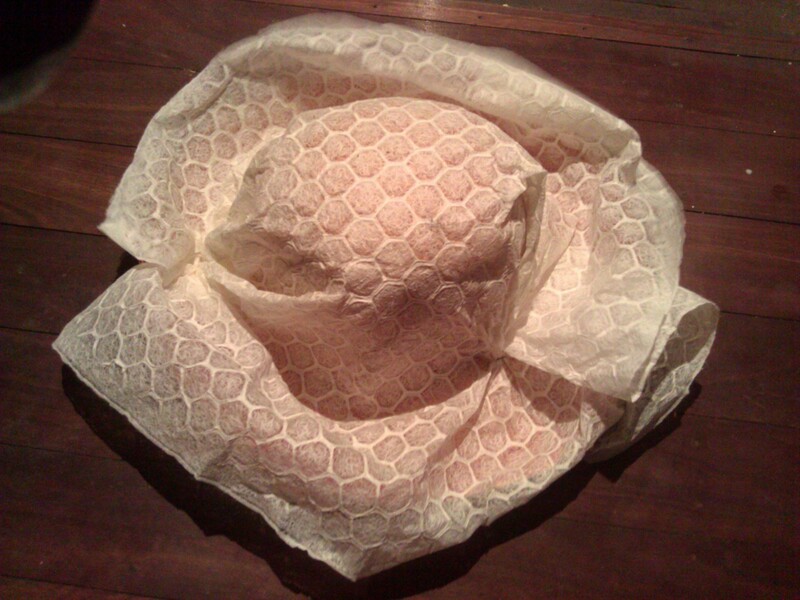 Previous PostCool Stuff: Wood Casting with Hilla ShamiaNext PostThe Hat Made It! The Horse Didn’t! Gettin ready for today, too, Susa. Fantastic – I hope you had a great day! I’m sure you really enjoyed making that hat, too! I’ve never heard of a compostable hat before, either, but I do hope you enjoy wearing it. Have fun.